It's location on the cliff slopes surrounded by tropical vegetation makes this hotel the perfect place to stay for those seeking peace and tranquillity. 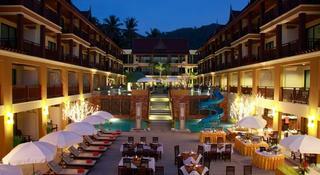 At the same time it is just a short drive to the lively Karon and Patong beach resorts. 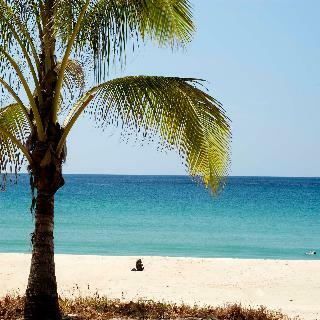 Karon offers a selection of retail, dining and nightlife options, and a visit to the Karon Bazaar and the Wat Suwan Khiri Khet Temple Market are a must. The hotel provides many amenities and leisure facilities for their guests including an infinity pool with magnificent views over the Andaman Sea. 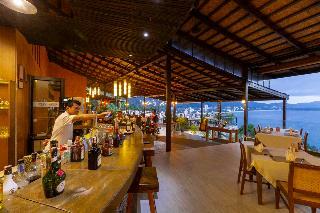 There is also a restaurant, a poolside bar and a fishing bar. 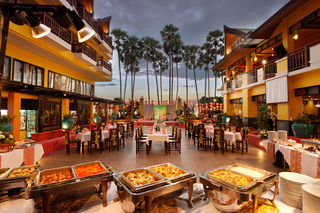 Classes in Thai cooking and fruit carving are among various activities on offer. The elegantly decorated, tastefully presented air-conditioned rooms have balconies and are furnished with all the essential elements needed to ensure the enjoyment of their guests. 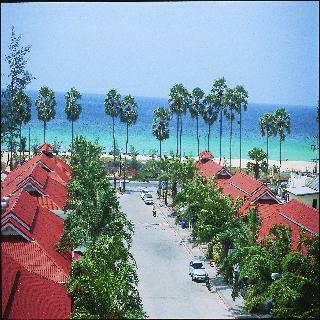 Heritage, modernism and atmosphere combines to create a the striking beauty in the heart of the citys most exquisite Karon beach with convenience of a step away shopping and restaurants and a short walk to the beach. 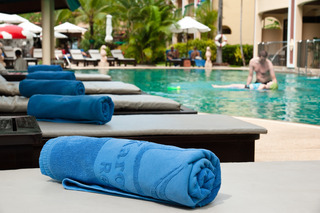 The Old Phuket Karon Beach Resort provides guest an alternative to enjoy a unique holiday with the best of both worlds accommodation. All rooms in both wings has its own balcony with a choice to enjoy either the refreshing breeze coming from the Andaman Sea or magnificent pool and mountain view, both furnished with all amenities to facilitate daily needs. With these selections, we ensure to meet the needs and taste of even the most demanding travelers. Located in the heart of Patong Beach, just a few minutes walk to the beach and a short stroll to Patong Shopping Malls, Restaurants & nightlife spots. A total of 160 rooms are all equipped with air-conditioning, safe, fridge & mini bar, satellite TV, IDD telephone, hot & cold water and hair dryer. All room types have connecting rooms if required and are offered with double or twin beds. The Superior Rooms have either garden or pool view and are elegantly appointed with en suite facilities including bathtub sand shower. All rooms have either a balcony or terrace. The Family Rooms offer a kitchenette, seating area and balcony. Facilities include 2 swimming pools the larger of the two has a children's pool attached. Relax in the sun and order a cocktail from the poolside bar. There are numerous quiet and relaxing spots within the resort's grounds. The massage corner is a pleasant place to have any knots 'kneaded' out or stresses soothed away with oils. Families can relax while the kids enjoy Jack and Jill, the indoor and outdoor kid's club and the internet and games centre. For the more energetic, Pulse fitness centre is well-equipped with cardio vascular machines and multigym. Breakfast is served buffet-style at the coffee shop / restaurant. 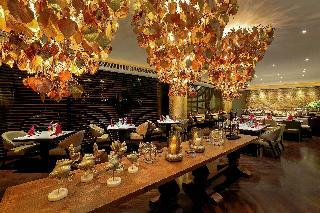 Evening dining is a pleasure at the Baluchi Indian and Thai restaurant. Borsalino restaurant serves traditional Italian specialties for both lunch and dinner. Snacks and drinks are served in the daytime at the poolside bar and the lobby lounge. 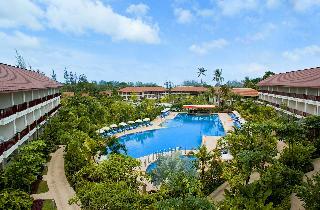 Relax into an ideal tropical beach getaway at Hilton Phuket Arcadia Resort & Spa. 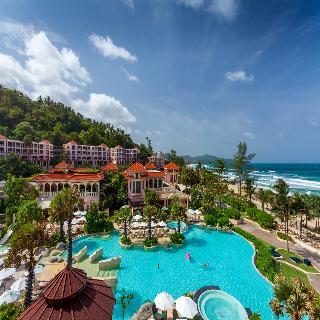 Admire breathtaking views of the serene Karon beachfront, offering an idyllic destination for truly unforgettable vacations. Enjoy a wide selection of room types, recreational, spa, and culinary amenities, designed to enliven and revitalize each visit to this large resort in Phuket.As one of the most comprehensive MICE and events venues in Southeast Asia, Hilton Phuket Arcadia Resort & Spa offers world-class wedding planning services for engagement parties, wedding rehearsals and ceremonies, and receptions in an exotic destination. Host stylish meetings underneath the stars or amidst the sunset in a range of outdoor venues. Let the dedicated events team support special occasions with trendy venues, event planning tools, customized menus, and technology solutions to ensure a successful event.